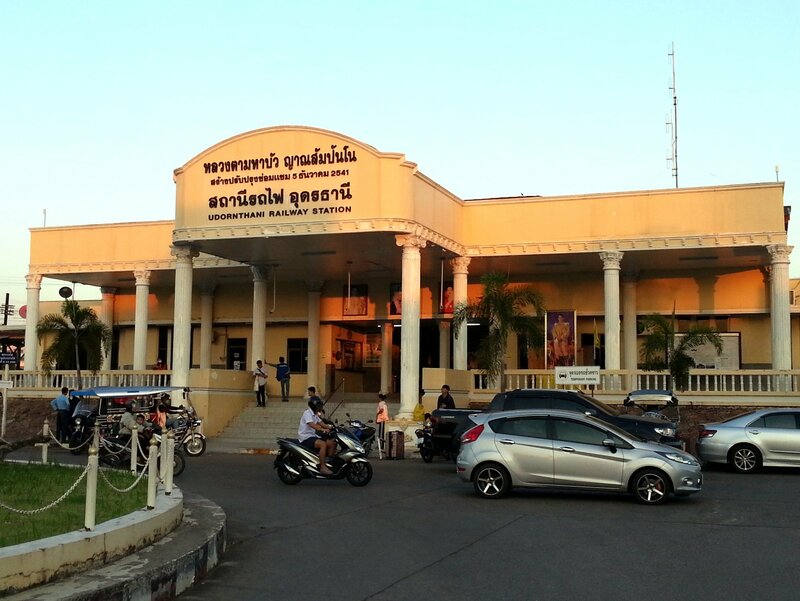 Udon Thani Train Station is located 568.84 km from Bangkok on the northern branch of Thailand’s North Eastern Train Line, which terminates at Nong Khai. 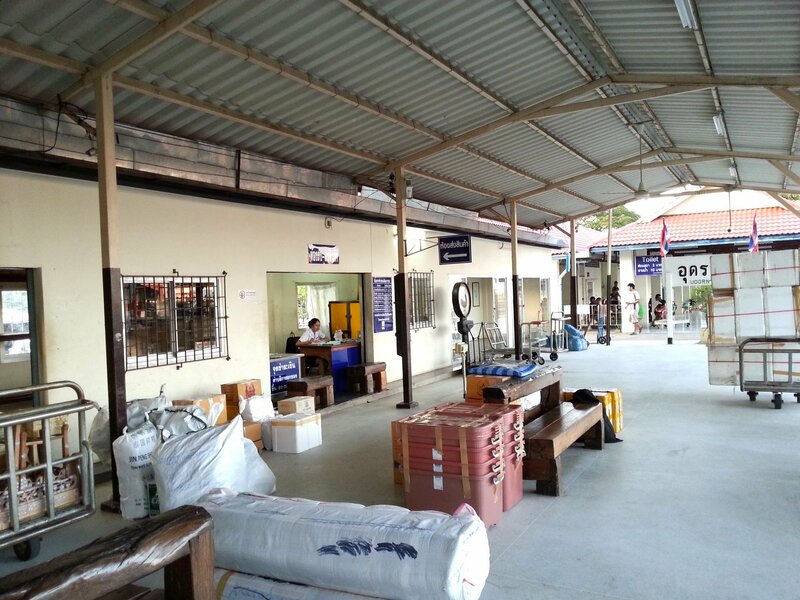 Udon Thani Railway Station is located at the eastern end of the Prajak Sillapkom Road very close the large night market. This area is very popular with foreign visitors to Udon Thani and there are plenty of hotels, restaurants and bars catering to foreign visitors very close to the Railway Station. Udon Thani Railway Station was opened in 1941 and the station building dates back to that time. The design of the main terminal building is very distinctive with tall columns supporting the overhanging roof. The station building is small but nonetheless impressive. 4 trains a day running each way on the Bangkok to Nong Khai route. 1 train per day running each way on the Nakhon Ratchasima to Nong Khai route. 1 train per day running each way on the Nakhon Ratchasima to Udon Thani route. 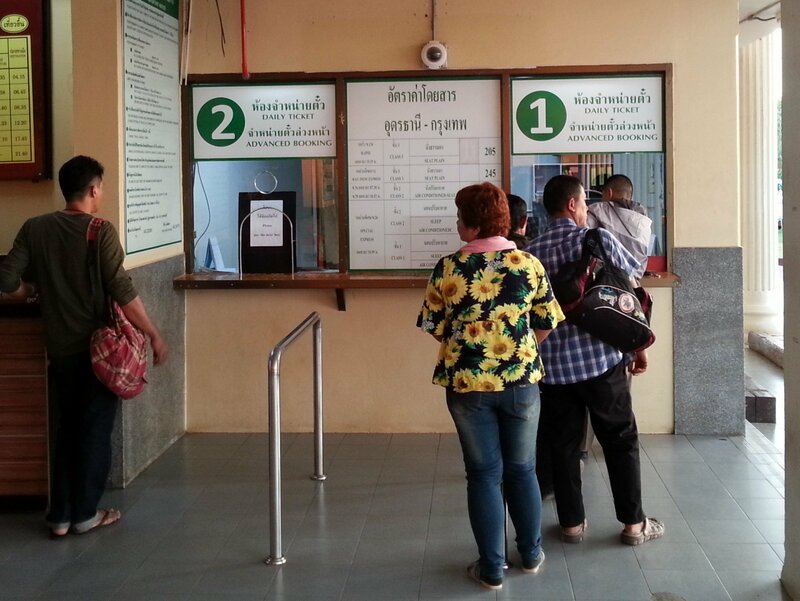 Udon Thani Railway Station has a fairly poor range of facilities. This is not one of Thailand’s busier train stations and it receives relatively few foreign visitors, which explains why it has no left luggage facility. A cargo and parcels office on platform 1. If you buy tickets for trains departing from Udon Thani through the Search Box below then you can choose to collect them before you travel from this office. A small shop selling food and drinks in the main station building. An information desk inside the station building by the ticket office. There is a ticket office near the main entrance to the station building. There are two ticket counters although normally only one of these is open. The ticket office is open from early in the morning through to about 20:00 every day. If you want to travel 3rd class then its not normally necessary to book a ticket in advance. 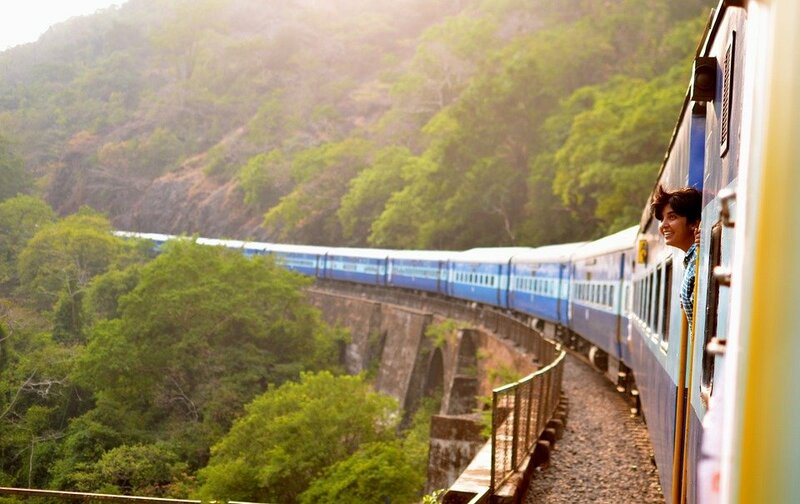 However, if you plan to travel to Bangkok on Train #76 in a 2nd class seat or to book a sleeper berth on Train #26 for the overnight journey to Bangkok then we recommend that you book your ticket at least 1 week in advance either at a train station in Thailand or through the Search Box below. To buy train train tickets for the journey from Udon Thani to Ayutthaya change the destination in the Search Box to “Ayutthaya” by using the drop down list. Tuk-tuks and motorbike taxi wait in front of the station for passengers arriving by train. 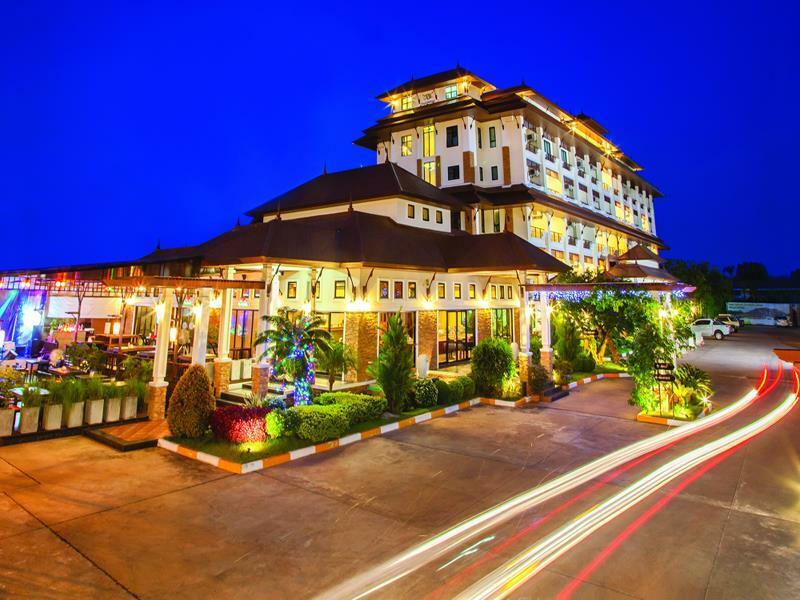 If you are staying in Udon Thani then most likely you will be within easy walking distance of your hotel as most of the popular hotels in Udon Thani are nearby. 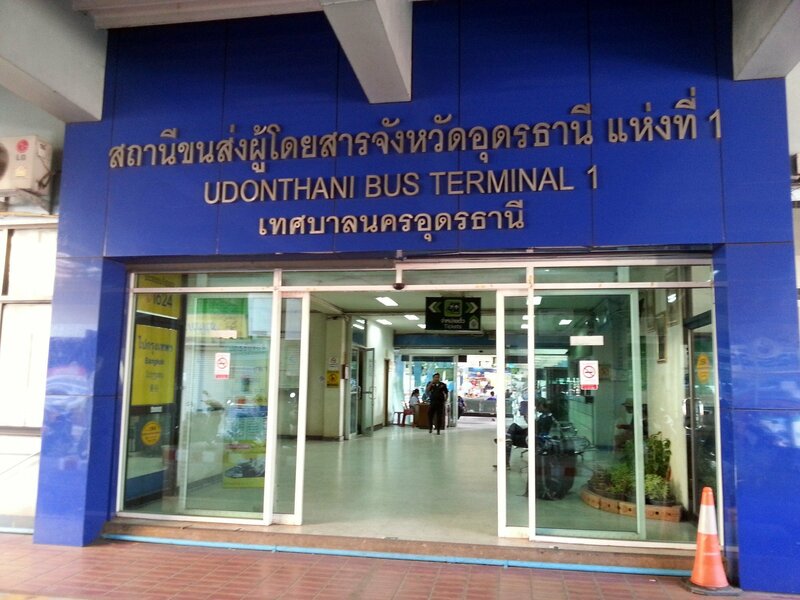 For travel to destinations outside of Udon Thani city, and not on the train line, go to Udon Thani 1 Bus Station, which is 700 metres walking distance from Udon Thani railway Station. A wide of variety of bus and minivan services depart from Udon Thani 1 Bus Station to major destinations such as Sakhon Nakhon and smaller towns in the vicinity such as Nong Han and Sawang Daen Din. There are 4 direct train services a day from Udon Thani to Bangkok. Check ticket availability from Udon Thani to Bangkok. There are 5 direct train services a day from Udon Thani to Nong Khai. Check ticket availability from Udon Thani to Nong Khai.